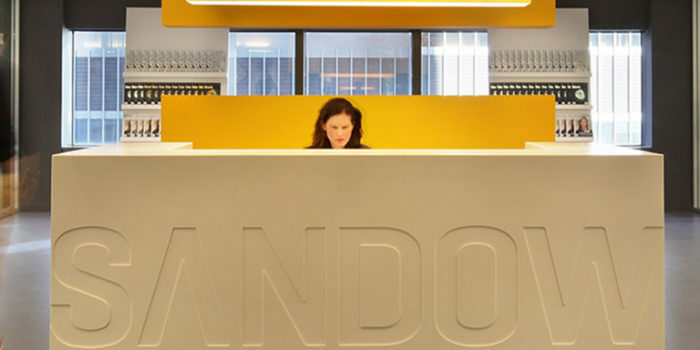 Loom (formerly Rima LLC) is a New York- and Italy-based technology company that is in the business of making connections. 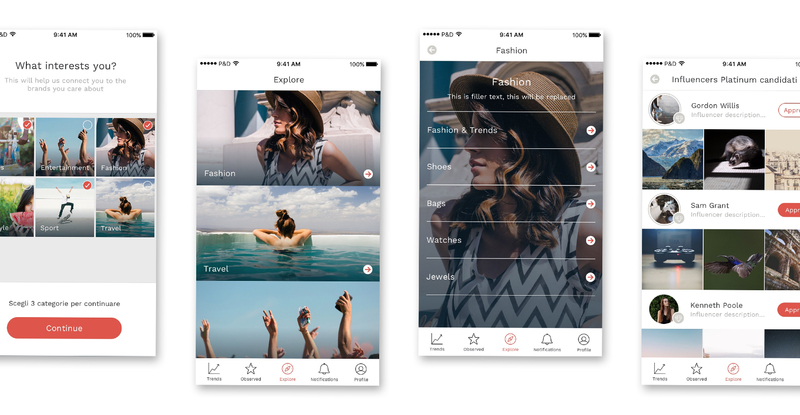 Loom created its first product – an app – designed to connect brand names with highly-networked content creators. Brands would use Loom to create campaigns for products or services they would like to promote on social media, while content creators have the ability to apply for campaigns that match their interests and values. Because the app helps facilitate product promotions and grassroots social media exposure between influencers and key companies in the US, the audiences were two-fold. In order to attract big-league brands and “Instagram worthy” influencers, the platform needed to have a beautiful brand aesthetic of its own and a digital design that was worthy of attention. Brought to us as a fully functioning – but aesthetically barebone app – our challenge was to bring the platform to life through a clean and beautiful brand, flawless user experience design and strong brand messaging. 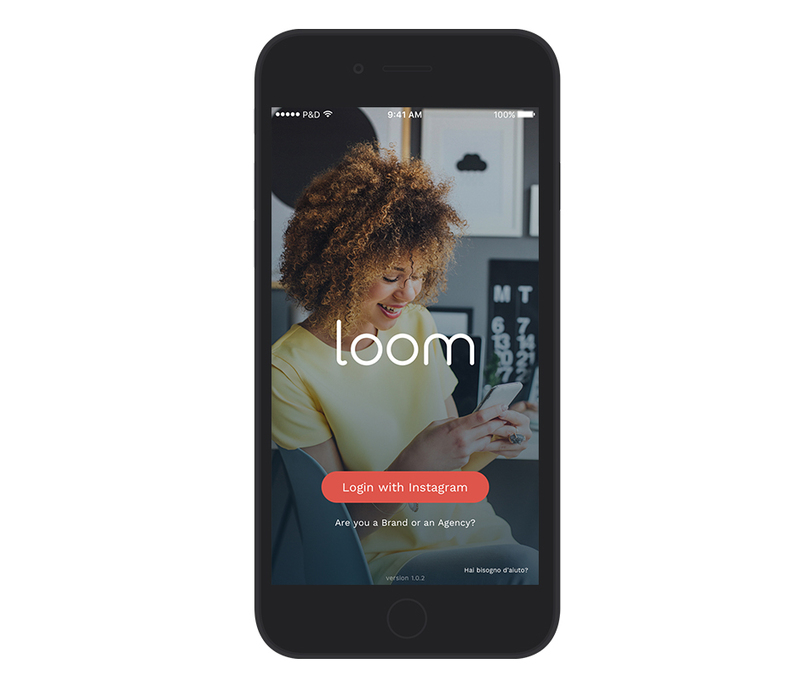 After being fully developed in Italy, the Loom app and site needed to be strategically branded by an agency familiar with the US retail and influencer market. Throughout the branding process, we focused on creating an aesthetic and brand language that would later be incorporated throughout the app. From strategically selecting the name “Loom” and creating eye-catching graphics to crafting a compelling message and curating original imagery for the Loom brand, there was no detail left unaccounted. 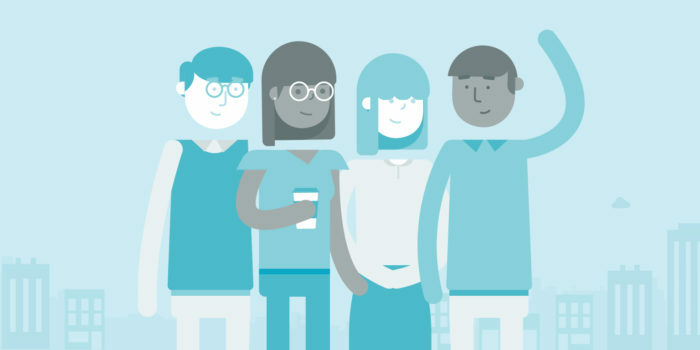 The app was designed with a clean, easy-to-navigate layout with bold imagery and font types that immediately capture the user’s attention and showcases the unique service offering of the platform. During the design process, we also integrated the logo, colors and typography that had been developed during branding. The result is a beautiful new brand aesthetic and company name, a seamless user experience and in-app designs that resonate with both big-name retailers and big-name influencers. The app, in its final stages of development, will be set up for success with its much-anticipated launch!